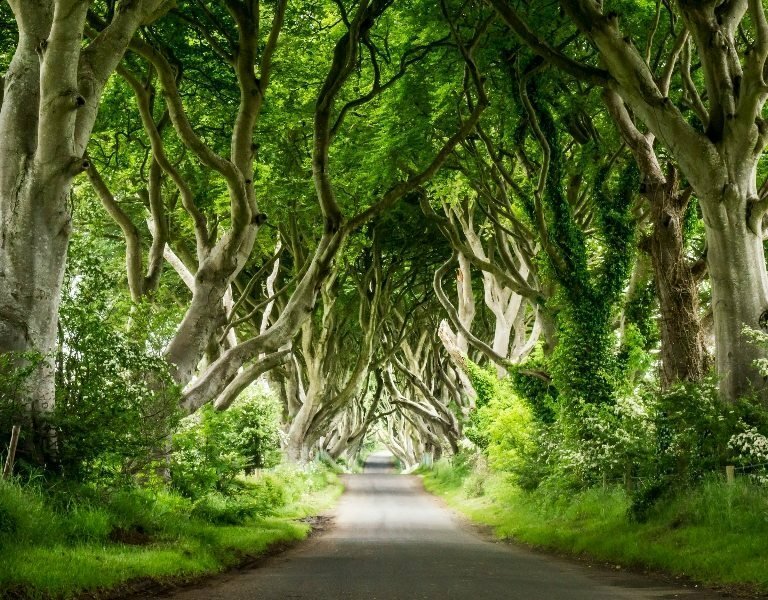 Truly a journey of discovery exploring and learning about all the best parts of Ireland, the 11-day Driftwood vacation is a breath-taking and fascinating tour of Ireland. We will take you to some of Ireland’s best-known tourist destinations like the Blarney Stone, the Ring of Kerry and the Cliffs of Moher and because our groups and vehicles are smaller, we will also take you right away from the beaten track and show you our favourite hidden corners of Ireland. Please note the direction of the tour is not optional. A once in a lifetime tour of Ireland, you will see more of Ireland than most Irish people have. This definitive tour of Ireland explores the hidden corners of the country both North and South plus the well-known highlights. You will experience the best of what Ireland has to offer, amazing scenery and local communities. Visit castles and stately home and learn about its fascinating ancient and modern history. The tours leave from Dublin city centre at 08.10am on the first morning and get back about 6 pm on the last day. So we would advise arriving at least the night before and if you would be planning to fly out on the last night, then not to book a flight before 9 pm. Firstly we head south-west, through the green heart of Ireland and counties Kildare, Tipperary and Limerick to County Cork. We then spend the next 4-5 days exploring the fabulous south-west of Ireland and its varied peninsulae before then weaving our way from County Kerry across the great River Shannon into County Clare. Once here you have the limestone lunar landscape of the Burren to explore, you will have some of the very best traditional Irish music to enjoy in the pubs, you can marvel at the Cliffs of Moher From there we drive around Galway Bay to Galway city, where we spend a few hours. We then continue our journey to Connemara, where we spend the night. A remote and beautiful area which has a special place in the hearts of the Irish people. Nowhere quite typifies old fashioned Ireland like Connemara. The next couple of days are spent in the less-touristed areas of Counties Mayo and Sligo. In Mayo alone, there are such highlights as Ireland’s only Fjord, the colourful town of Westport and the Holy mountain of Croagh Patrick, before we cross into Sligo for slightly softer scenery and the unique experience of a hot sea-weed bath! We now spend two nights in Clifden in Galway, giving us time to explore the area and nearby north-west Mayo – it is one of the least visited parts of Ireland. The two-night stay also gives you the chance to have a more relaxing day on tour, maybe play a round of golf and get to know the local community. And then its time to cross the border into Northern Ireland, still part of the United Kingdom. 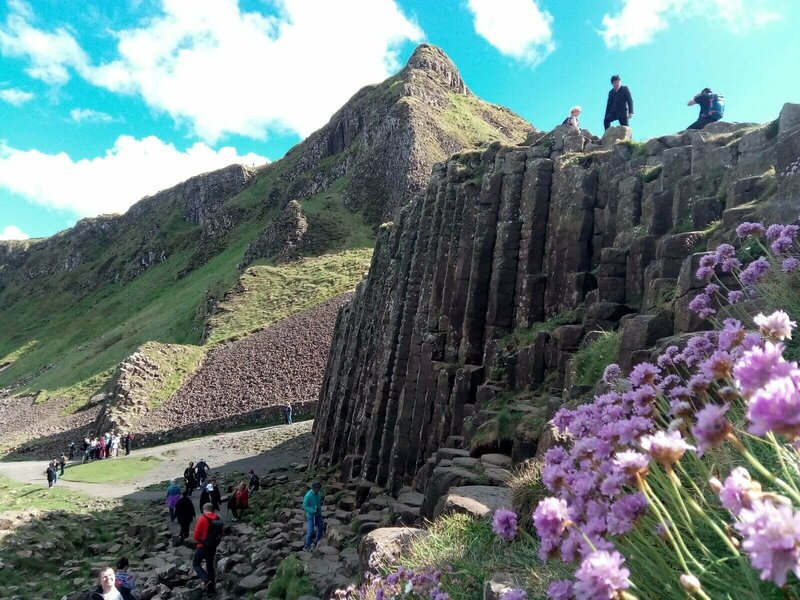 We spend two days in the province learning all about the recent turbulent history and right back to the stone age – while not forgetting the fantastic coastal scenery of the Causeway Coast and the Glens of Antrim. *Brexit Notice: Please note all our tours travelling into Northern Ireland will continue to run as normal and scheduled. If you have any direct concerns you can email us. Your guide will discuss options with you throughout your tour and plan accordingly. Please note, this tour has stops in both the Republic of Ireland (EU eurozone) and Northern Ireland (UK). You will require both Euro (€) and Sterling (£) cash. Vehicle:Comfortable Mercedes or Volkswagen 16 seater 'Drifter' Mini-coach. Activity:Easy. No hikes or adventure activities. We took the 11 day discover Ireland tour in June 2017 with Mark Doherty as our guide. I cannot say enough about this experience. I have ancestral roots in Ireland and had always wanted to visit. When the time came, it was suggested to me that a small group tour would be the best way to go and we selected Driftwood. So glad we did! Ireland was as beautiful as I had expected, maybe even more so. But the tour itinerary, and Mark's very excellent knowledge and friendly delivery and assistance throughout the 11 days went way beyond expectations. Highly recommend Driftwood/Vagabond Tours. They are the best! Estimated US$ guide price: $3,234 USD (based on US$1 = €0.84). Above price is for 2019 tours.